Political reporters are notoriously unwilling to call even the most outrageous, intentionally deceptive untruths what they are: lies. But Mitt Romney's very first campaign ad of the 2012 presidential race, broadcast in New Hampshire last week, is an indication that the year ahead may be full of them. 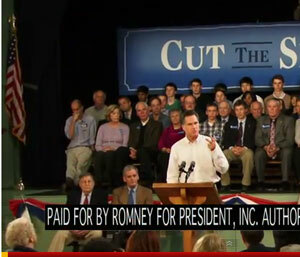 The Romney ad in question used a quote from then-Senator Barack Obama in a deliberately deceptive way. "If we keep talking about the economy, we're going to lose," Obama is heard to say. He did say that, but in a context that made it clear he felt the opposite way. The full quote, from an October 2008 speech: "Senator McCain's campaign actually said, and I quote, if we keep talking about the economy, we're going to lose." Some of the mainstream-media coverage simply noted the deception in passing, some focused on its effectiveness as a campaign tactic. What was missing was sustained coverage about the lie itself. Experts in journalistic ethics are encouraging reporters to take a more critical posture going forward. "I think professional journalists have an absolute obligation to make lies transparent," said Kelly McBride, who teaches ethics at the Poynter Institute. The first step is "to do the reporting so that you can with authority point out that this is an act of deception," McBride said. With the Romney ad, that was easy; the accompanying press release provided Obama's full quote. Step two, McBride said, is to assign blame. "Professional journalists need to follow up and figure out who in the campaign is responsible for this," McBride said -- "and keep at it." "We have to call that sort of thing out," Geneva Overholser, director of USC Annenberg's School of Journalism and a former Washington Post ombudsman, wrote in an e-mail. "Journalists did that, last week, but it seems to me it needs to have been even stronger. This was such a blatant act of deception. Treating it just like any other fact-checked ad, so many of which contain something mildly misleading, is itself misleading." In this case, Romney himself defended the ad, telling reporters: "There was no hidden effort on the part of our campaign. It was instead to point out that what's sauce for the goose is now sauce for the gander." There's a character question here, particularly if this kind of behavior continues, said Tom Fiedler, communications dean at Boston University and former executive editor of the Miami Herald. "What you can do is you just continue to build a case, so that you periodically come back with a larger story that goes to the integrity of the candidate who would continue to put up ads that are clearly out of context and that sort of thing," Fiedler said. "And that can be a major, defining piece." Journalists also need to be aware of how easily they are manipulated by intentionally deceptive candidates. "It's a known tactic that in some cases, a candidate will make an ad more misleading to generate controversy that will in turn reinforce the message of the ad," said Brendan Nyhan, an assistant professor of government at Dartmouth College. "In TV, it's especially easy to reinforce the message of the ad by running it over and over." One classic dupe move is for journalists to report on the "controversy" over the deception, rather than directly address its truthfulness. Another is to simply treat it all like a game. As Nyhan wrote in a blog post for CJR.org: "For these journalists, producing meta-level analysis of the effectiveness of deception as a campaign tactic is more important than correcting the factual record for readers." "This all goes back to journalists' unwillingness to see themselves as strategic actors in a political game," Nyhan told HuffPost. "There's this naive professional posture that can make people tools of the campaign, if they're not careful." And here's another problem: Nyhan's research shows that "it's difficult to convince people who don't want to be convinced that a claim is false." So journalists need to ask themselves: "Whose mind do you expect to change about what?" "I think you have to write these stories, but you also have to be careful in putting together a story that would be convincing to someone who's not inclined to believe the correction," Nyhan said. In the case of the Romney ad, Nyhan suggests that reporting showing even Republicans agree that the quote was deceptive would be particularly effective. As for reporters' hesitation to use the words "lie" or "liar," Charlotte Grimes, who holds the Knight Chair in Political Reporting at Syracuse University, says there's a reason for that. "I think you've got to be as aggressive as possible," Grimes said. "We need to do that all the time." But, she added, "I think what we have a great reluctance to do -- and I would be in favor of that reluctance -- is calling someone a liar. Lying is an intentional state of mind, and it's very difficult to read somebody's mind." It also goes back to Nyhan's point about making the correction persuasive. Using the word lie "can be far more inflammatory than it can be illuminating," Grimes said.  "And I'm far more in favor of illuminating than inflaming." "I believe that a deliberate distortion is a lie, and I think in this case there's no way to look at the original clip of what Obama said, and misunderstand his intent," she said. "So I'm comfortable calling it a lie, calling it what it is" -- although, she acknowledged, a lot of other questionable political statements "don't meet that threshold." "We can certainly say: 'This is a lie; here's the evidence that it's a lie,' and we can keep asking questions about who's responsible for the lie," McBride said. In fact, she said, "I think that there's a market for that." Arianna Huffington wrote in a blog post Monday that she sees Romney's ad as "challenge to the media. It's like when a toddler looks right at you and slowly and deliberately spills a glass of milk. The child wants to see the reaction. It's a test of boundaries. If there's no reaction, then the message is that it's OK."
McBride concluded: "Democracy doesn't work if journalism doesn't work and journalism isn't working if falsehoods pervade the marketplace of ideas." But isn't that exactly where we are already? Replied McBride, "That's my greatest fear." Serious question: now that Pres. Obama has been publicly contradicted by Bill Ayers about attending a now infamous in-home fundraiser, has Obama lied about his association with Ayers? >McBride concluded: "Democracy doesn't work if journalism doesn't work and journalism isn't working if falsehoods pervade the marketplace of ideas." We are already there. Just look at the pervasive, insidious staying power of demonstrably false memes in American society, perpetuated by broadcast journalists who fail to report clear data proving these memes to be false -- from objective data proving tax cuts for the rich do not create more jobs, to the clear consensus among the scientific community that the globe is headed for dangerous warming and human activities are contributing. McBride's greatest fear is already operational. Now what? If they were not so digitally illiterate, then it would be an easier decision for the press. GOP is joke and I point out the digital illiteracy of Congress all the time. Who are Shakespeare's "kind and natural children" in Henry the V? When you find the answer..can you truthfully say Obama is a natural born citizen? "When candidates lie, what's a political reporter to do?" Well if the candidate is Obama then the answer is ignore it and hope it goes away. Actually, a handful of reporters, including John King of CNN who seemed really angry, either called the Romney ad a lie and Romney a liar or both. Does anyone have examples of other instances in which the word lie was used. There is another narrative going on in this campaign that it appears you've missed, and I caution journalists to tread lightly and be respectful as if it were a loaded gun. Every republican candidate has created a narrative that the press is not going to represent them in any favorable light, therefore it doesn't matter what journalists write or call the candidates out on - the party followers are going to believe it is disingenuous at this point unless some real credibility and willingness to go after Obama in the same manner is taken seriously. I mean, look: the picture on your post is Romney's campaign, and your anecdotal example is the Romney campaign. Gingrich is in the same boat, Perry is a joke, Paul is perhaps the most honest but the broadcast media shunning and punditry surrounding him is turning libertarian and republican faith in the press into scorched earth. On the other side of the campaign, Pres. Obama's press secretary has done much of the same in translating the presidents actions into neat sound bites for consumer consumption that are patently false - well, perhaps there is some truth in an overly-rationalized and defended parallel universe, but I think that we all consider "truth" to not be guided by splitting hairs. Now, I feel compelled to point out several rounds of ammo for conservatives in this post: stop quoting blatantly liberal, activist media sources as fact. In other words, drop the Huff Post. Passing off reporting as objective while quoting liberal firebrands will never do any good except to get the liberal and democrat fan base in a salivated frenzy of excitement. Likewise, with timing ... many journalists are still very upset about Romenesko and Poynter debacle... be prudent and skip them until they get their house in order. In both of these examples, stop quoting other "journalists" and opt for original research. Okay, I'll stop dissing. My point, and concern, is that if journalists and pundits want to be taken seriously, then stop pandering. Step back, put your bias on hold, and look at the actions that speak louder than words. We would all be willing to do it if the story were about safety inspections or busted roads... so lets apply the same standards to the political season. The deck is stacked against the People. The mainstream of the Fourth Estate is bought by the powerful/rich and they are the ones that get to ask the questions. If a lie has been caught the powerful will tell two more to cover it up knowing there will be no/softball follow up by the reporter. The Internet is also a huge propaganda machine for anyones agenda. An interested person has to read/see/hear lot to be able to make an informed decision that almost everything is a lie.